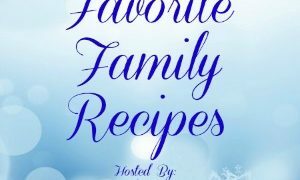 I am part of this neat recipe swap that involves trading recipes with other bloggers and making them as is. Now, normally I don’t ever use marshmallows, or boxed cereal, or food coloring; but in the spirit of having fun, being a part of this, and doing something different, I did. You can see the original recipe here. A simple, no bake cookie that's fun to make and pretty to share! Remove from heat, add extracts, food coloring and cereal. Mix gently to combine without breaking up the cereal. Place on a sheet of waxed paper, and form into wreaths. Decorate with red hot candy. The cookies themselves were fairly good, to be honest. My kids liked them, and we had a blast sharing them with our neighbors! 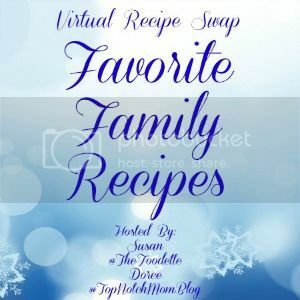 Thanks so much for participating in our virtual recipe swap! Cute! I wanted to make these last Christmas and bought everything to make them but never got around to it. Maybe I will bump it up on my list this year. I like that even though it’s not your “typical” thing, you went out on a limb and tried it! That’s really awesome of you, and thank you so much for sharing it! It looks super cute.